The story of Prince Dieudonat is a very fine story. Unfortunately, it is probably nothing but a tissue of lies; many considerations, in fact, encourage the belief that the gentleman never existed, and that reason would suffice to explain why no one can say in which country or century he lived. Edmond Haraucourt’s Dieudonat (1906, exp. 1912) fits in the rich French tradition of the contes merveilleux by endowing its eponymous hero at birth with the supernatural ability to produce miracles. 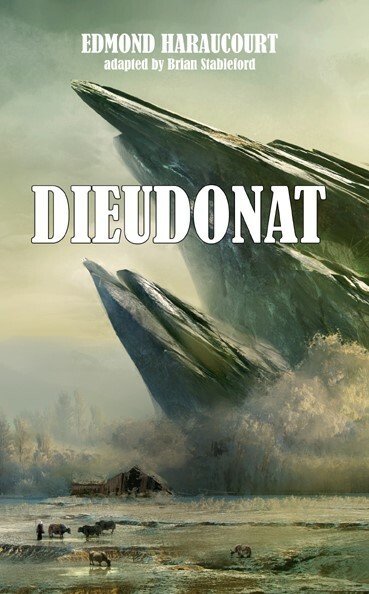 Upon adulthood, Prince Dieudonat is forced to leave his kingdom and embarks on a quixotic, picaresque, and ultimately tragic, journey. Dieudonat is a work of such tremendous verve and ambition that it inevitably provokes admiration, and if the nutritive value of some of the food for thought that it contains is a trifle suspect, it is nevertheless a phenomenal feast.